CM Punk’s UFC debut against Mickey Gall is edging ever-nearer, with the former WWE man set to fight at UFC 203 on September 10 – but fans are pretty concerned with how he’ll fare. 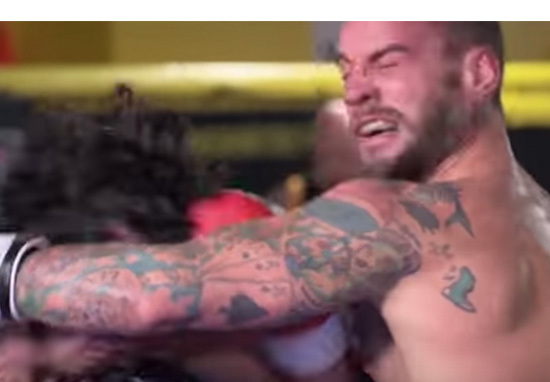 The second episode of The Evolution of Punk went online earlier this week, and footage of him sparring hasn’t convinced viewers he will be a force in the Octagon. CM Punk is gonna get knocked out ?? And just imagine if he does pull off a victory! One minor detail that a lot of people seem to be overlooking is that the session against Israel Lozano was only the Straight-Edge superstar’s third sparring bout, and it was a bloody year ago. Punk will have had plenty of training since then and will still enter his first pro MMA bout with nobody outside of his camp really capable of a true assessment. Let’s just hope he gets to 203 injury free – then he can be judged.